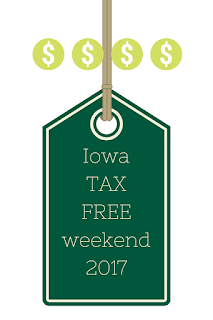 This Friday and Saturday is Iowa's annual Tax Free Weekend. 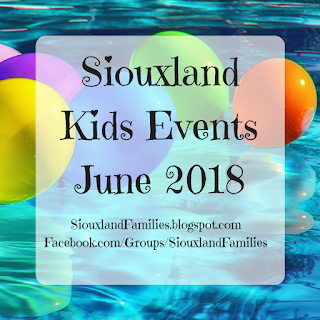 To encourage customers customer to do their back to school shopping in Iowa stores, the State of Iowa has declared the first Friday and Saturday of August--Friday the 4th and Saturday the 5th this year--to be tax free for clothes and shoes under $100 per item! 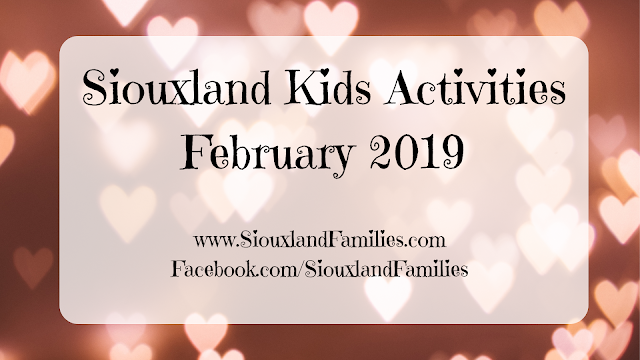 Any store in Iowa that sells clothing or shoes should be participating! 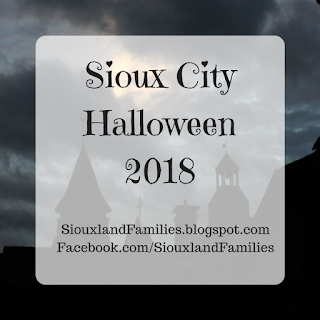 Online participation may vary but check with your favorites in case they are! Any clothes or shoes, except shoes and equipment classified as sports gear are not included. Do sales and coupons count? Sales: Yes! If an item or set of items is on sale for less than $100 it counts. Items can't be split (like a $150 pair of shoes can't be sold as two $75 shoes to count). Coupons: No. Coupons don't count for getting the cost of an item to be under $100, but you can use them. For more info, check out the Iowa Department of Revenue. Happy shopping!